Fiat’s most loved 1.3-litre engine will be discontinued in India soon after the stricter pollution norms are imposed. India is planning to upgrade to Bharat Stage VI (BS VI) pollution norms by 2020 and Fiat has no future plans to upgrade the engine to comply with the stricter norms. Fiat supplies the 1.3-litre diesel engine to Maruti and Tata in India. Both the manufacturers have decided to develop their own engines for the future products. With this, there would not be any taker of the Fiat engines in the future. Fiat, who also uses the engine in the Indian cars may show its way out from the Indian market due to dismal sales. After the brand lost Tata and Maruti as clients, the end of the engine seems inevitable. The same has been corroborated by a Fiat official. Maruti who had put the engine to good use for a long time used to localise the engine heavily, making it one of the cheapest diesel engines in India. Suzuki’s ambition of developing an in-house engine and stop paying a royalty to Fiat has brought an end to the partnership. The upcoming cars that will come soon like the Swift will continue to be powered by the 1.3-litre diesel engine. However, from 2020, Maruti may shift altogether to its all-new 1.5-litre, four-cylinder Suzuki engine. Tata Motors is also on its way to phase out the 1.3-litre engine. Recently, the Indian manufacturer launched the 1.05-litre diesel engine with the Tiago and will soon launch the 1.5-litre diesel engine with the Nexon. The 1.3-litre engine used in the Vista, Zest, Manza, and Bolt will be replaced in the future. 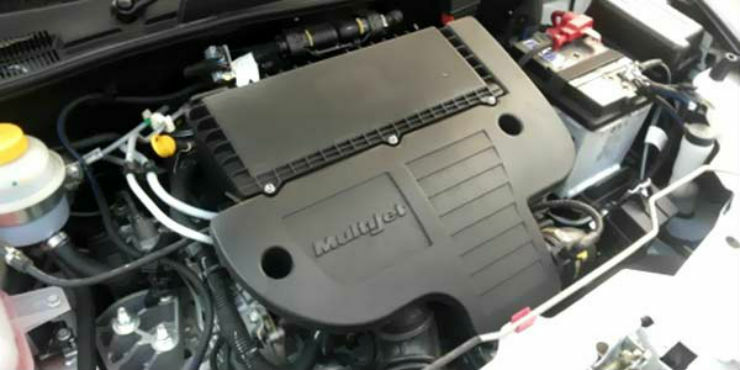 The 1.3-litre multijet is known as India’s national car engine. It powered various cars from multiple manufacturers in India. The end of the engine will be marked in the history of Indian automotive market.